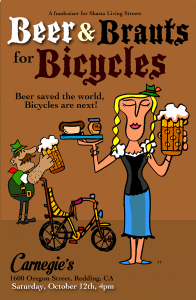 Beer saved the world, Bicycles are next! 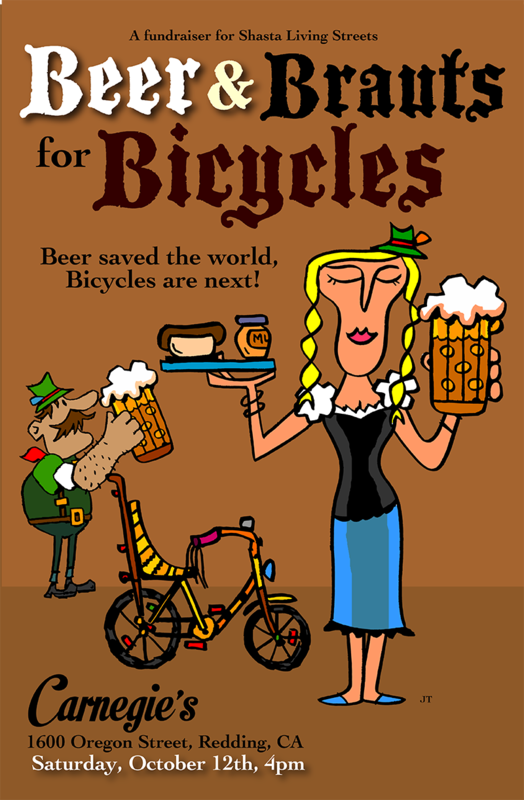 Hang out with friends, eat, have a beer or two, enjoy the live music—and support better bicycling in our community while you’re at it! You don’t need to ride a bike but it’s a great opportunity to ride downtown for a fun evening with other people who love to cycle and are working to make our community a more livable place. Portions of the proceeds from the evening will be donated to Shasta Living Streets.